World leader in technological management solutions for retailing and sales of air travel agency services. 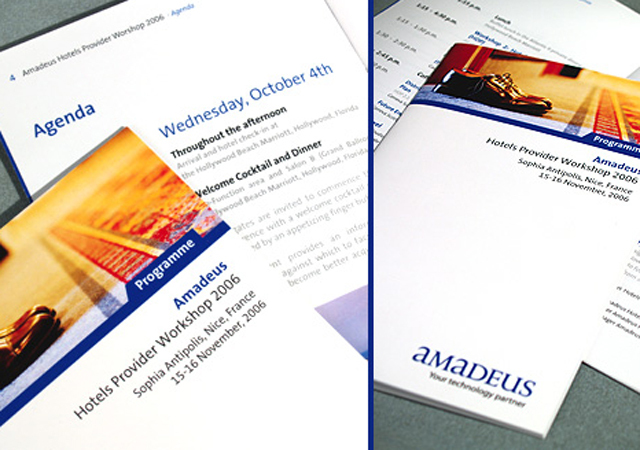 Through it’s activity, Amadeus requires at all time sale sheets, as well as various programs for several of it’s events. In correspondence with the company’s graphic identity, Ideogram fulfils it’s various products. 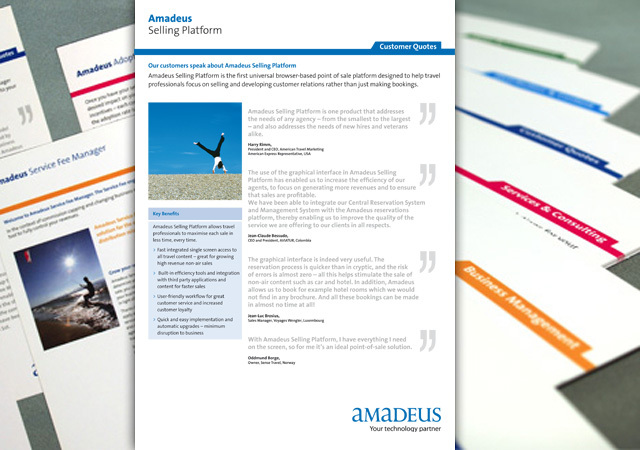 Often produced in small quantity, the digital printing is the best value for money to finalise it’s different projects.